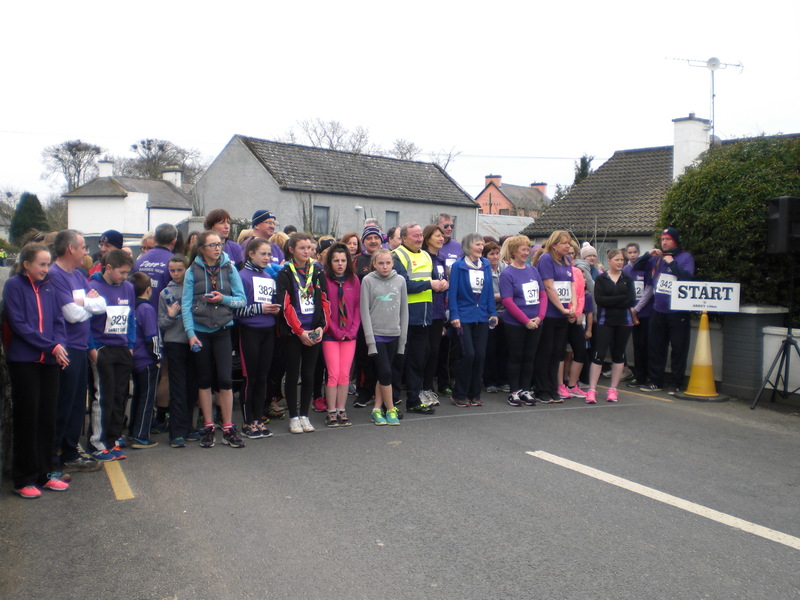 Abbey was a hive of excitement on Sunday 15 March 2015 as preparations were finalised for the start of this annual Run, Walk or Jog 10km event. The team of volunteers, who worked tirelessly to ensure an enjoyable day for all participants, catered for all eventualities and ensured that everything ran according to plan. Seasoned walkers and runners gathered to register and collect their T-shirts and all were impressed by the facilities available to them. Numbers were up on last year and it is hoped that this event will continue to grow in the years ahead. First off were the walkers. Giving them a head start of 30 minutes ensured that they would complete the course within a reasonable time after the runners came home. 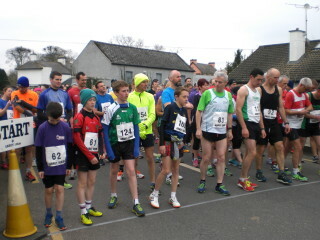 Then it was time to call the runners to the starting line. The winner would arrive at the finishing line in approximately 35 minutes. All results of the main event can be checked here. 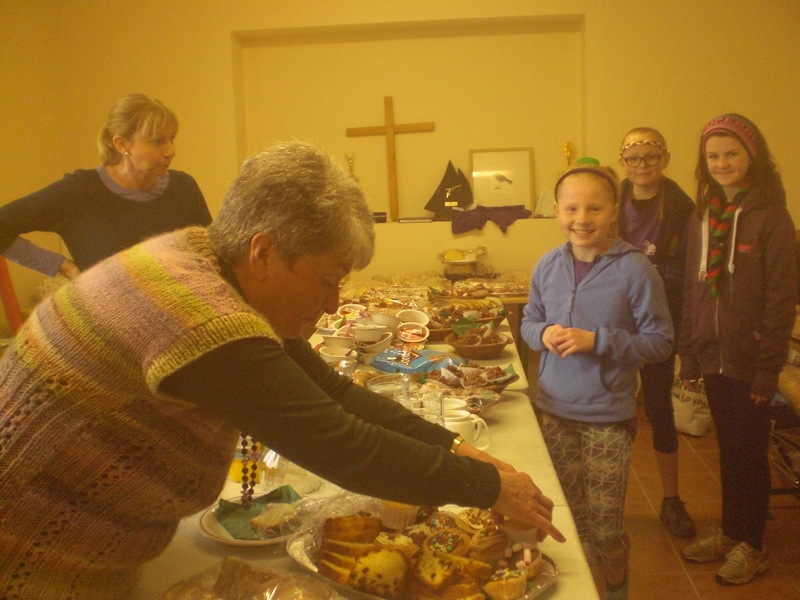 For the first time, a 1km event was organised for the young members of the community – the beavers and cub scouts – and this was one of the highlights of the day. 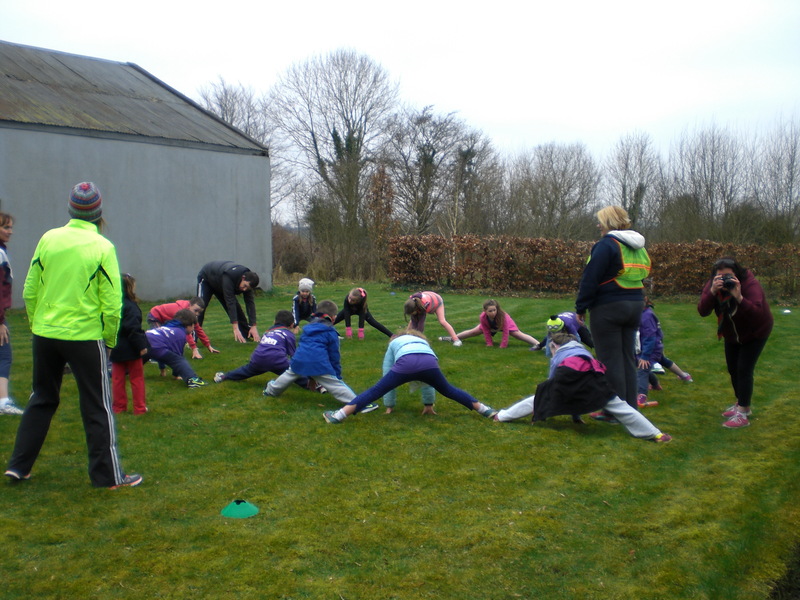 In advance of their event, these young people were busy warming up and doing their stretches. 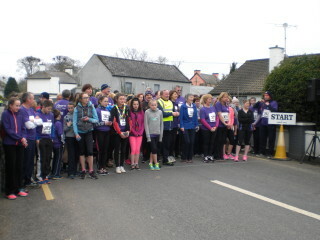 Their 1km run took place around Abbey Village as the distance around the block is exactly 1km in length. 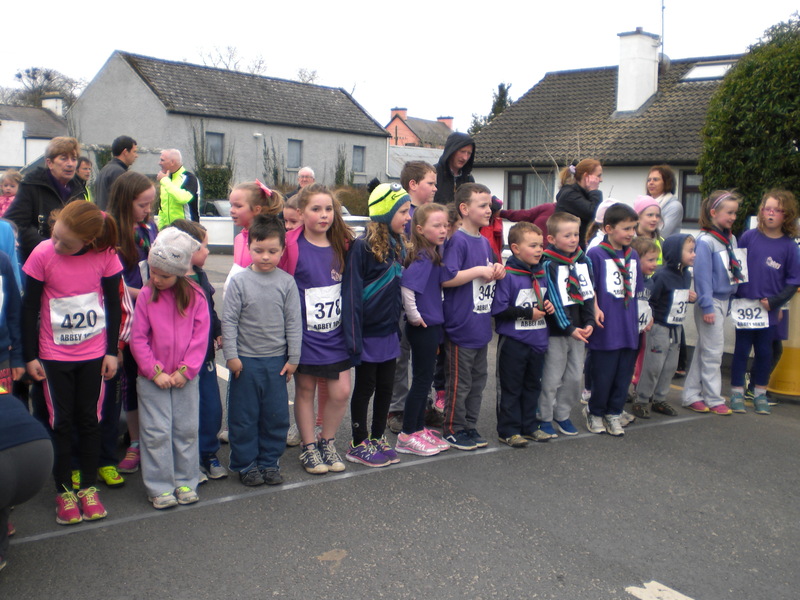 This new event was voted a huge success by parents and friends who witnessed the enthusiasm of these young runners. No doubt this will become a standard part of the ‘Abbey 10km’ in subsequent years and set these young people on course to participate at a higher level in future years. 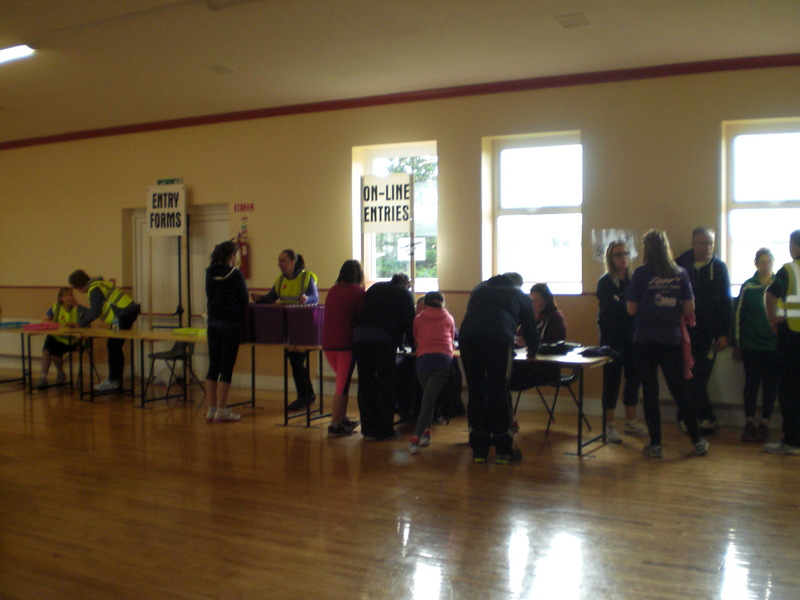 Everyone knows that walking, running or jogging can be a thirsty business so it was important to ensure that refreshments were provided for everyone as they completed their event. 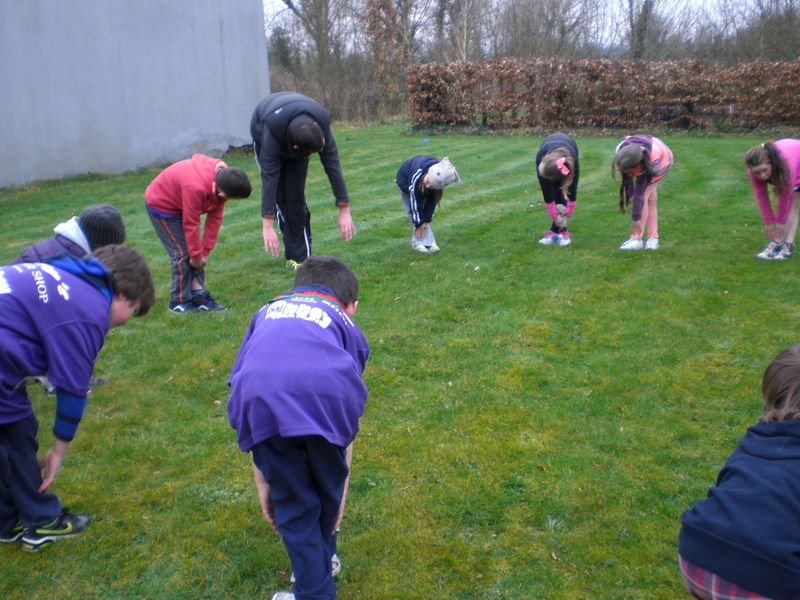 Beavers and Cub Scouts line up – ready for off! Refreshments for everyone at the end of a perfect day!